Intermedia Touch expands its offerings by teaming with George Lakis as he grows the companies Telemedicine Multimedia Technology division. George Lakis brings a career-long trajectory of delivering leading-edge multimedia solutions to the healthcare and education ecosystems of South Florida. MIAMI — Intermedia Touch expands its offerings by teaming with George Lakis as he grows the companies Telemedicine Multimedia Technology division. 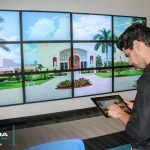 George Lakis brings a career-long trajectory of delivering leading-edge multimedia solutions to the healthcare and education ecosystems of South Florida, and projecting South Florida into many global markets. Combining artistic, technological and business talents and skills, he has led projects, established revenue-generating businesses, and pioneered multiple industry milestones applying media and technology to patient, staff, community, medical education initiatives, distance learning, telemedicine and medical documentation. Common threads in this wide range of achievements can be found in their refined aesthetic, engineering-like precision and use of technology, and a business sense of economic contribution and value. Born and raised in Greece, George moved to Miami in 1978 and completed his studies at Florida International University, while pioneering that university’s media and technology academic programs. Armed with a unique combination of artistic talent, technology orientation, and business acumen, Mr. Lakis moved into the workforce in 1986, joining South Miami Hospital. Here, he led many successful initiatives that put that hospital on the medical technology media map. 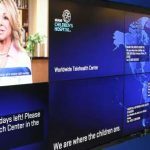 Since late 2011, Mr. Lakis initiated a transition from Baptist Health, to new professional challenges as a Global Executive Consultant in Telemedicine Multimedia Technology initiatives. Currently evaluating a number of projects and opportunities to leverage his experience and energy with a focus on continuing to be a catalyst for technology and media/based progress in communicating complex content clearly, aesthetically, convincingly and profitably.